[High Quality]: Made of high quality 304 stainless steel and protected by silicone cap. 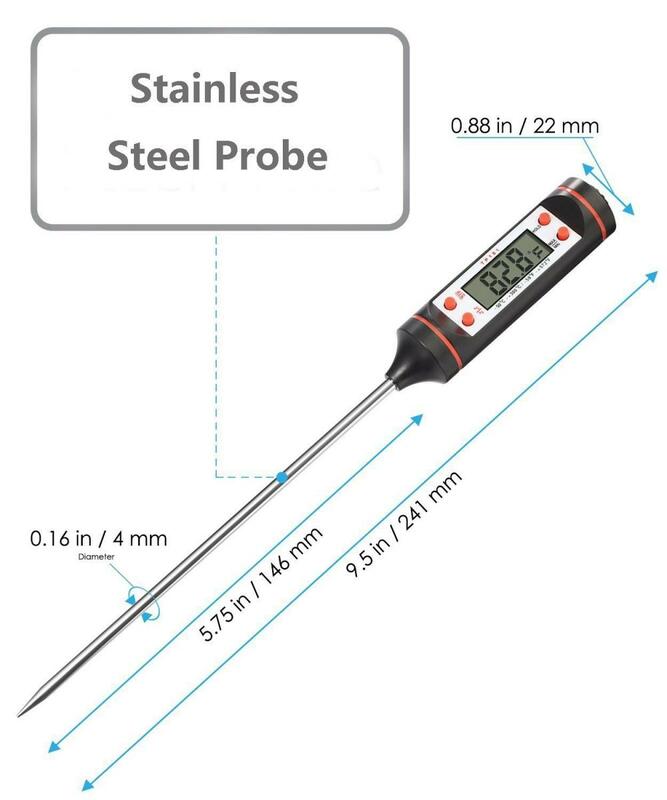 This Meat Thermometer is perfect for indoor cooking and outdoor BBQ, Clay Oven and Charcoal Grills. [High Accuracy & Wide compatible]: Records -58°F to 572°F (-50-300°C), Accurate to ±1°F (between -4°F to 392°F). [Backlit LCD Screen]: Bright backlit LCD display shows accurate temperature results in 5 seconds. Backlit LCD makes it easier to use in dark environments. Looking for ideal Meat Thermometer Manufacturer & supplier ? We have a wide selection at great prices to help you get creative. 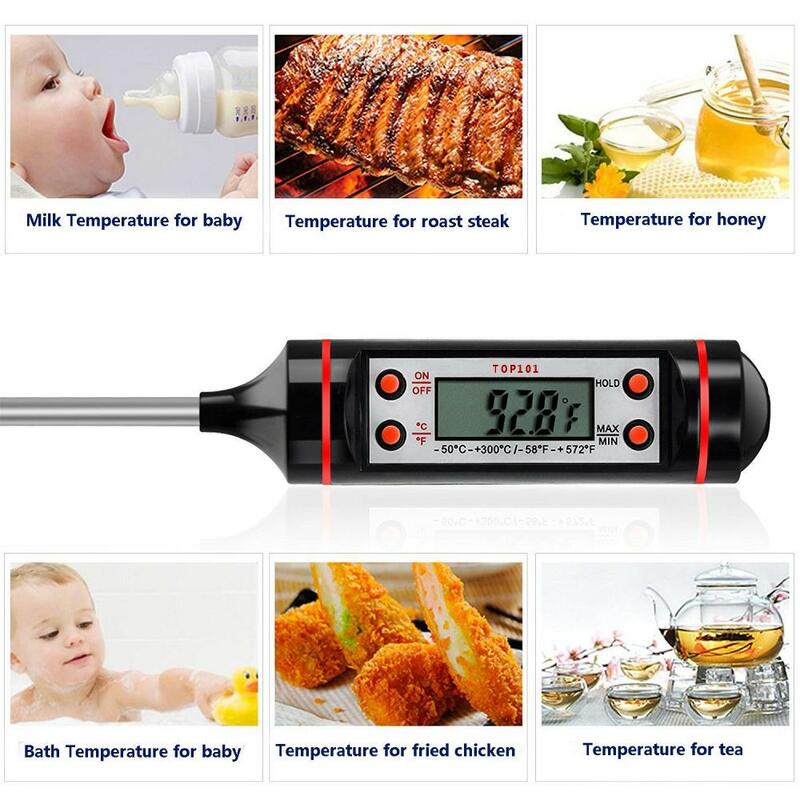 All the Digital Food Thermometer are quality guaranteed. 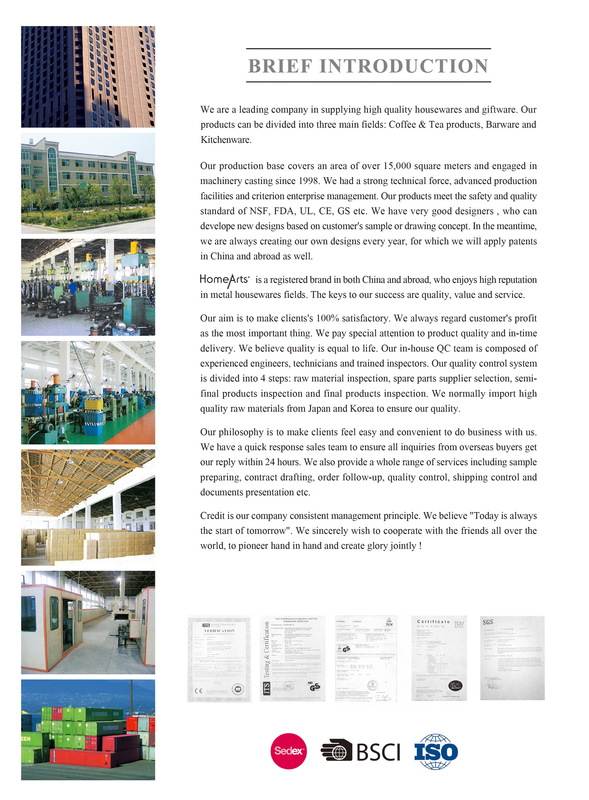 We are China Origin Factory of Thermometer. If you have any question, please feel free to contact us.